Play'n Go was established in 1997 when this Swedish company began creating casino games for other software providers. They began producing their own games in 2004 and one of their specialities is mobile gaming. They offer state of the art gaming and entertainment solutions for the online gambling industry. This include casino software, online bingo, back office management tools, and payment methods. All their products are fully customizable and can be integrated into existing platforms with ease. 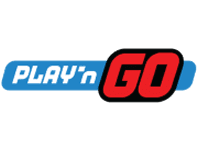 Play N Go holds licenses in the UK, Malta, Denmark, Gibraltar, Belgium, and Alderney. They use proprietary technology that they call Maven. The games are available on PC and mobile. Play'n Go has been around for quite a long time now and they offer a broad range of games for PCs, mobiles and tablets. This includes mini games that can be used on an operator's site. The games offered include table games, video poker, slots, progressives, bingo and scratch cards. Players can enjoy a mix of titles with great graphics, sound, and animations. All the games are instant play so there is no download and they are available in 30 different languages. The games support full HD and are all mobile compatible. Some of the popular slots titles include Dragon Ship, Wild Blood, Pearl Lagoon, Enchanted Meadow, Ninja Fruits, and Riches of Ra. The number of games offered is limited in size when compared with larger developers such as Microgaming but there are over 60 games for players to choose from. Playngo offer a complete tablet and mobile suite that can be integrated into any casino. You can play on any device so whether you have an iOS, Android or Windows smartphone, you will be able to enjoy great games. Play N Go also caters for high and low resolution devices so your games will always look great. Mobile gaming is where they company really stands out and creating dynamic titles has really put them on the map. The fact that their offerings can be integrated with ease is what makes it so popular with casino operators looking to add mobile casinos to their sites. The software is also fully customizable. The software is designed using the latest technology and this ensures a truly flexible system in both design and functionality. All the PlaynGo products are tested before they are released and this is to ensure that they are as good as they can be. This software developer is committed to providing support for their operator clients and all clients get a project manager and an account manager to help them in all aspects. Training is also available should it be required. The Random number generators are audited and tested to ensure that fair gaming is guaranteed and the latest encryption technology is used for all player data. Fair gaming and security is something this software provider takes very seriously. There are a number of top online casinos that use Play N Go software in their offering. The bonus and promotions that players can expect to find vary from site to site so you need to look carefully. We have found that a number of them offer free spins or a no deposit bonus as a new player sign up deal which is great if you want to test out the games risk free. The no deposit bonus can be used to test out all the games where are the free spins can only be used on slots titles. Percentage deposit matches are also offered and the standard for this is 100% to 200% on your first deposit as a new player. As Play'N Go software is integrated in with other software it is important that you check the different casinos to see where you can get the best Play'n Go casino bonuses and promotions from.